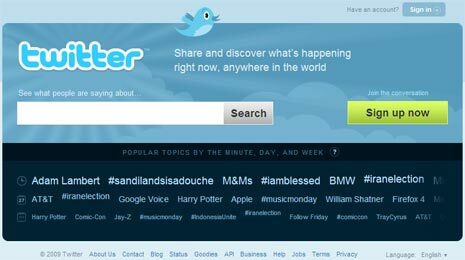 Twitter has gone for makeover, as it sizzle in glory of positive media coverage and tons of new users. Twitter is still lost on ways to earn money from high level of user activity. New look Twitter homepage might offer some direction with BIG search box in your face. So, even if you don’t know What and how to use Twitter – just use the search box (read: like Google Search!). Twitter may have lot of trash tweets but still got relevant real time content whose usefulness search feature can dish out (and hopefully let Twitter make some money). Head over Twitter to checkout new look (and of course that search box).